The CBD industry is booming. Even though CBD was first discovered in 1940, it wasn’t up until 2013, when CNN reported the famous case of Charlotte’s Figi that CBD got extra popular. 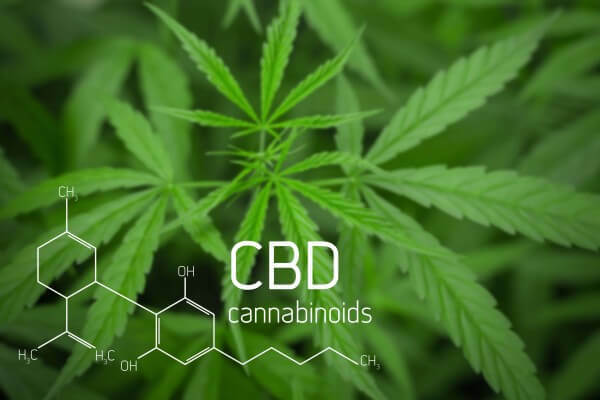 In this article, you will learn 7 simple things you need to know to fully understand CBD. CBD Benefits: What does CBD do? CBD or cannabidiol is one of the 113 cannabinoids so far discovered in the cannabis plant. Among that large amount of cannabinoids, the most prominent are CBD and THC. You probably have heard about THC; the compound responsible for the famous “high” that cannabis is mostly known for. However, CBD is a whole different story. CBD is a non-psychotropic cannabinoid. Meaning that it doesn’t cause a “high”. Moreover, CBD holds many medicinal properties that have already proven results and concrete appliances in many of the world’s most prominent diseases, such as Epilepsy, Parkinson’s, Sleep Disorders, and more. Typically, hemp is a cannabis plant low in THC and high in CBD. Contrary, Marijuana is a cannabis plant high in THC and low in CBD. So, CBD is a natural compound, coming from the cannabis plant, which doesn’t cause a high, and has huge medicinal properties. 2. CBD benefits: What does CBD do? CBD is a natural option to treat many of the world’s most common diseases. Traditionally, these conditions are treated with strong drugs that have unhealthy side effects. Research on cannabinoids has been limited for many years due to the bad stigma associated to the cannabis plant. These legislations have been changing in the last years to allow more studies on the field. Amazing results have come out, such as Olympic athletes being allowed to use CBD. Let’s dive in into the medical benefits of CBD. To understand anxiety and depression, we need to talk about the Serotonin System. Strong world-famous pharmaceutical drugs such as Zoloft and Prozac, are designed to specifically allow availability of more serotonin in our bodies. By facilitating this process, our brain cells can transfer more serotonin signals and hence reduce anxiety, depression and boost our mood. The issue with these antidepressant drugs is that they create strong addictions and side effects that are hard to overcome. Cannabidiol does similarly the same. But faster and naturally. This is why CBD does help with anxiety. There are CBD products that are specifically designed to deal with anxiety in a natural way. Another good option is Charlotte's Web, the world’s most trusted hemp extract. You could try these CBD oils for anxiety: Everyday, Everyday Plus or Everyday Advanced. This is probably the most well-known use of cannabidiol today. From Northern Ireland, Billy Caldwell, who suffered up to 100 life-threatening epileptic seizures a day. Dramatically improved his quality of life thanks to the use of CBD. It was one of the first cases in the country. CW Hemp CBD oil has had unbelievable results treating severe epilepsy. You can buy Charlotte’s Web CBD Oil in Europe from us. The science behind using cannabidiol for treating chronic pain is still under study. But worth it to keep exploring. The most common way to deal with chronic pain today is by using opioids, which are highly addictive and very bad for our health when used long-term. Josh Stanley, Co-founder at CW Hemp, tells his own story about how he managed pain with CBD Oil, leaving opioids behind and getting his life back. Studies have proven over years the incredible anti-inflammatory properties that cannabidiol has. This helps to heal faster. There are many athletes that are trying CBD as an option to deal with continuous pain coming from their exercises routines. Especially, but not limited to, NFL and Martial Arts athletes, who suffer from continuous pain due to the nature of their sports. Their testimonials are truly amazing. Even though the results are more than promising. There is still some ground to cover. Green Helix Menstrual CBD Capsules for menstrual cramps. As the New York Times put it: “New Beauty’s High: CBD Oil”. CBD also has anti-inflammatory properties as mentioned before. All these properties together make the idea of CBD Cosmetics perfectly logical. If you are considering to start using CBD as a medicine to treat a specific issue, you should do your research and consult it with your doctor first. 3. How do CBD works? CBD interacts directly with the Endocannabinoid system. In short, the endocannabinoid system is a system that interacts with cannabinoid receptors inside our body. That’s right, our body has a dedicated receptor for cannabinoids found in the cannabis plant that allow them to directly interact with our body. Two primary types of receptors have been identified: CB1 and CB2. In fact, these two receptors, are the most prevalent and most important cell receptors in every mammal on the planet. They serve two primary functions within our body: neurological and immune function. There is hardly any disease state that falls out of these two categories. This means, in essence, that the cannabis and hemp plants are more related to humans than any other plant in the known universe. This is why CBD has proven to work so well for our health. Most people wanting to introduce themselves to the benefits of cannabidiol ask themselves, is CBD oil legal? The legislation for CBD has changed a lot in the last years as CBD is now being recognized for its amazing medicinal properties. Every country has its own legislation and in some of them, there are many grey areas that are being discussed as you read. CBD is legal in 46 of 50 States in the USA. In the 4 remaining states, there are still grey areas (06/2018). Until now, CBD is Illegal in Slovakia. The Czech Republic and Luxembourg allow up to less than 0,3% of THC. Italy allows up to less than 0,6% of THC. Switzerland allows up to less than 1% of THC. Why do some countries allow more THC in their CBD products? The reason is that it allows the plant to fully grow and develop the maximum potential of its medicinal properties. Josh Stanley, co-founder at CW Hemp give us his thoughts on the subject. Swissextract is one of our premium brands that produces CBD Oil with less than 1% THC. Laws change constantly. This information serves as a general guide. If you are still uncertain whether or not CBD is legal in your country, check your national laws. As the World Health Organization stated: “CBD is generally well tolerated with a good safety profile”. Nevertheless, cannabidiol is recently being used broadly and constantly. Hence, scientists haven’t had the possibility to fully study and understand its long-term effects yet. Compared to other drugs for treating the same medical conditions, cannabidiol seems to have a better profile. This other report, focusing on epilepsy, mentions the possibility of liver damage, lethargy, and depression. However, these are also side effects that are found in other medicines to treat the same condition. As mentioned above, further long-term research on this topic is needed. 6. Where to buy CBD? Choosing the right CBD products is key. Unfortunately, not every company deliver what they promised. Do your research before you buy CBD products. At Heidi’s Garden we only work with premium high-quality brands. We make sure that all of our products are consistent, reliable and safe to take. Although is too soon to know everything about this compound, cannabidiol has already helped so many lives in situations where there was nothing left to try. At Heidi’s Garden, we know this first hand. One of our co-founders was lucky enough to find this alternative treatment and recover quickly from a motorcycle accident that got him into a coma. We believe in the healing powers of CBD. What about you? We would love to know your perspective! What do you think about CBD? Have you had any experience with CBD? Perhaps a close one? Leave a comment and let’s create a constructive talk about this so we can keep helping people.